Спасибо, ildarrrr, за замечательную виниловую коллекцию Джека МакДаффа! 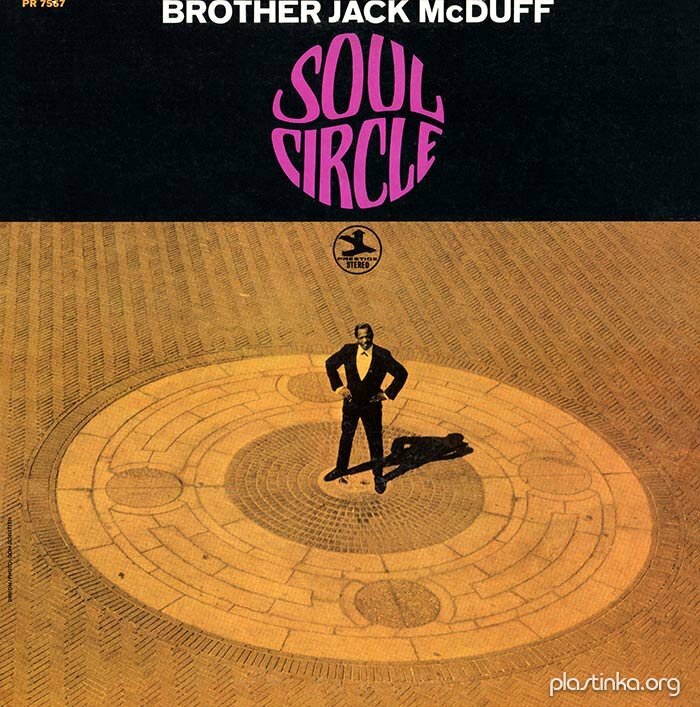 Eugene McDuffy's illustrious recording career started long after he had become known as Brother Jack McDuff. It started on Prestige (with the Willis Jackson Quintet) and it was through a series of Prestige recordings that the organist from Champaign, Illinois, gained a world-wide reputation as a purveyor of soul music par excellence. 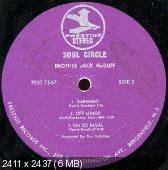 McDuff s first record date, as a leader, resulted in an album entitled Brother Jack (PR 7174), and was recorded while he was still a member of Willis Jackson's group. It was Jackson's policy to let his sidemen be heard on their own (a good way to lose good men) and this policy has been carried on by McDuff since he himself became a leader. Thus, during his many years with Prestige, McDuff launched many sidemen into their own careers, making it necessary to change the personnel of his own group, from time to time. This album is made up of several sessions, representing four different McDuff combinations. One might say that this is a cross-section of McDuff's Prestige recording career and certainly a must item for any McDuff fan. It should be understood that this is not by any means one of those sampler albums made by taking a variety of cuts from previously released sets. None of the music contained herein has been made available before. Let's take a look at the players. THE TENORS: That potato chip-crisp solo on You'd Be So Easy To Love is played by Harold Vick. Vick hails from Rocky Mount, North Carolina, and graduated from Howard University, in 1958, having majored in psychology and sociology. After a brief stint with the New York City Welfare Department, he decided to devote himself to music and began gigging with rhythm and bfcues groups. He has recorded with Gene Ammons and McDuff on Prestige, and with Lloyd Price, Ray Charles, Grant Green, and under his own name for Sfyenote and RCA Victor. Harold Ousley came to New York in 1959, from his native Chicago. He has worked with Howard McGhee, Joe Newman, Machito, Clark Terry, Benny Green and McDuff, and can be heard on records, accompanying singer Dinah Washington at the 1958 Newport Jazz Festival. In this album he can be heard to advantage on More and his own composition, That's When We Thought of Love. The remaining two tenor contributions are the virile work of Red Holloway. Born James L. Holloway, in Helena, Arkansas, Red studied music at the Chicago Conservatory. His first musical job was with former Brubeck bassist, Gene Wright, in Chicago. In 1946, after three years with Wright, he was given a government gig with the 5th Army band. Between 1947 and 1963, when he joined McDuff, Red played at various times with Roosevelt Syke>s, the veteran blues singer-pianist, Lionel Hampton, Ben Webster and Lloyd Price. 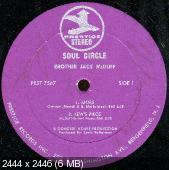 He has recorded with Price, organist Bill Doggett and such rhythm and blues groups as The Coasters, The Flamingos, The Moonglows, Little Junior Parker, Bobby Bland and of course Brother Jack McDuff. His solos on Horace Silver's well-known Opus De Funk and McDuff’s Lew's Piece (dedicated to manager-producer Lew Futterman) are representative of his agile style. THE GUITARISTS: In 1951, George Benson was that eight-year-old boy you might have seen playing his ukulele for money, in the streets of his hometown, Pittsburgh, Pennsylvania. The following year you might have seen him play, sing and dance in a local after-hours club. But chances are that you didn't even hear the records he made, as a vocalist, in 1954, for a subsidiary label of RCA Victor. You probably didn't become aware of Benson until he joined McDuff, in 1962, or began recording under his own name for Prestige, in 1964. Benson's interest in jazz was aroused when he heard recordings by Charlie Parker and Wes Montgomery, in 1960. Since emerging on his own, in the last three years, George Benson is fast becoming one of the most important guitarists on the jazz scene. He is represented here on three tracks, That's When We Thought of Love, where he is strictly relegated to the rhythm section, and Lew's Piece and Opus De Funk, both of which contain solos by him and some good unison work with Holloway. Guitarists Eddie Diehl and Pat Martino are heard on the rest of the tracks. Diehl is not as well known as Benson but Martino is on his way, having recorded for Prestige under his own name. Hear El Hombre (PR 7513), Strings! (PR 7547) and East! (PR 7562). Drummer Joe Dukes is'heard throughout this album. He is probably the oldest member of the McDuff group (not in terms of age). Dukes, described by jazz writter Robert Levin as “an exceptionally skillful and technically able drummer who is inclined toward the flash and the flare”, recorded his first album as a leader, The Soulful Drums of Joe Dukes (PR 7324) in 1964, as part of the McDuff give-everybody-a-chance program. In annotating this album, I have put the emphasis on the sidemen because so much has already been said of Jack McDuff and, quite literally, his record speaks for itself. Спасибо! Все-таки, винил не зря оцифрован! Несмотря на возраст, есть разница с CD в объеме!